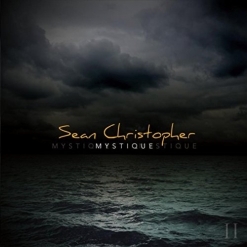 Mystique is the debut album by pianist/composer/keyboardist Sean Christopher. (To clear up any possible confusion, there are at least two other composers named Sean Christopher, one of whom I have previously reviewed. To keep things straight, I will need to occasionally refer to Sean’s last name, McGee, so nobody gets confused.) Mystique consists of twelve original compositions, some more orchestrated than others. All of the music features piano and strings, and some pieces also include wordless vocals, nature sounds, light percussion and/or flutes. Sean resides in Southern CA and has been involved in filmmaking, and his music has a very cinematic and visual quality that reflects this. Several tracks are dark and mysterious, but most are soothing and relaxing. 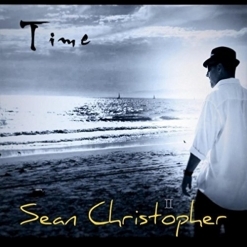 Sean Christopher was born with music in his blood. His grandfather was a well-known Cajun musician, his father is a successful guitarist who has accompanied many big-name artists, and his mother is a successful singer/songwriter and children’s author. Sean started composing music when he was five years old and got hooked on the piano as a child. When the early Apple computers came out, he was introduced to the “Performer” composition software program and started experimenting with that and a Yamaha DX7 keyboard. Music software and keyboards have obviously come a long way since then! Mystique begins with “Metamorphosis.” The opening theme is played on Native flute, and then strings and piano enter with a very dark tone and a poignant emotional depth that is accentuated by the addition of voices and hand percussion - an intriguing start! “The Sacrifice” is primarily piano and cello with light hand percussion. It expresses feelings of tragedy and loss - very haunting. “Katiyimo (Mystery Mesa)” features the piano playing a gently rolling broken chord pattern behind strings and flute. Sean makes excellent use of reverb to create a sense of vast open space that might be a bit intimidating - a favorite. “Somewhere In Time” is an original piece, not a cover of the movie theme. Composed for piano and strings, the delicate melody is wistful and dreamy. The mournful quality of “The Cove” reminds me of the 2009 documentary of the same name about the slaughter of dolphins in Japan. Strings, piano, and voices plus sounds of gulls, the ocean and something metallic make this memorable piece haunting and affecting. I’m not sure what “The Genesis Project” refers to, but this one is lighter and more hopeful. “Utopia” is somewhat more ambient than most of the other tracks and brings the album to peaceful close. As you can see, there is quite a range of emotions expressed in Sean Christopher’s music. Mystique is available from www.ImSean.org, Amazon, iTunes, and CD Baby. It is well worth checking out!